VIDEO: Watch How Awesome Travis Hamonic Is. Watch video below..
Hamonic started his major junior career playing for the Moose Jaw Warriors of the Western Hockey League (WHL). He was selected by the New York Islanders in the second round, 53rd overall, of the 2008 NHL Entry Draft. 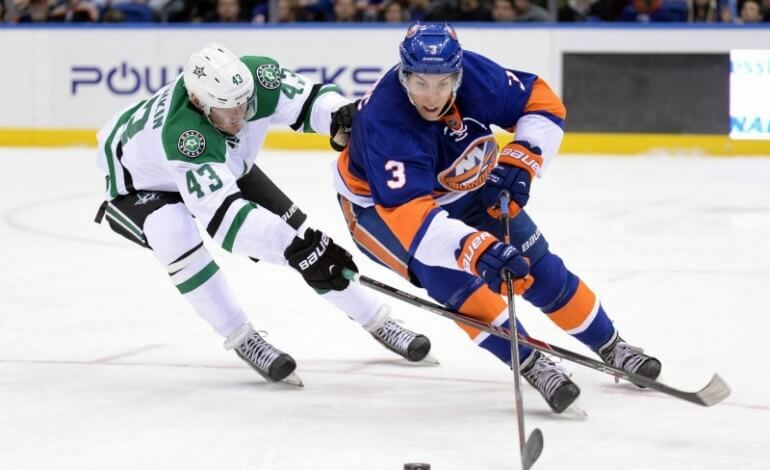 While he would not go into further detail, Hamonic did say he’s prepared to play the whole season in Brooklyn if need be, although head coach Jack Capuano and general manager Garth Snow have been eyeing the market for some time. Kane Recieves Hart Trophy And Loses it!